Well-trained legal assistants are in demand. Law firms, corporate legal departments, and even businesses rely on their legal assistants to manage a broad range of essential tasks on a daily basis. From handling correspondence and preparing legal documents to scheduling meetings and controlling confidential materials, legal administrative assistants are at the heart of any law office. In order to be successful on the job, legal administrative assistants must possess the fundamental knowledge and skills that comes with the right post-secondary education. The Legal Administrative Assistant program at CDI College prepares students to step into the legal assistant role as soon as they graduate. Students hone crucial administrative skills including knowledge of industry-standard office software, effective business writing, bookkeeping, and general office skills. Along with the principles of Canadian law and general law, they also learn about key areas of the legal field including civil litigation, family law, corporate and commercial law, real estate law, and wills and estate law. Graduates of the Legal Administrative Assistant program will be able to apply their new skills and knowledge to administration duties in a law office or legal environment. Students will have a final revision on the entire legal module and will be assessed on their general knowledge of the law and its applications to all the legal modules they have completed. This module entails the most important factors dealing with the relevance of having a will and a power of attorney. In this module, students continue to build their knowledge and skills in Real Estate Law, learn POLARIS and the Introduction to Teraview an easy-to-use and powerful system. Students will learn to complete files on Sellers and/or Buyers from the beginning to closing. Students also review and consolidate their understanding of dealing with effecting title searches and closing requirements. Corporations are legal entities that do everything that a real person can do in operating a successful business, e.g. borrow money, make contracts, operate a bank account, sue and be sued, and be held responsible for its actions in the same way as a real person would be held responsible. This module entails incorporating an Ontario business corporation, organizing and maintenance of post incorporation matters, introductions of the various acts and statutes dealing with corporate law, and amendments, amalgamations and commercial law. Students will learn Family Law procedures in a computerized environment using the General Family Law Forms. The focus of this module is to introduce the student to the Ontario Court System, how to prepare various court documents, research areas of law, serve documents, how to introduce counter claims and third party claims, prepare discovery and pretrial documents, and understand applications and motions. This course is an introduction to the fundamental principles and practices of Law. It provides the student with an understanding of the underlying theory and principles of Law. The procedures in Law, How courts operate, forms, procedures and legal writing. Introduction to Accounting. Students work with basic and more advanced features of Microsoft Outlook to manage messages for efficient communication, maintain personal and business contacts, and organize appointments and tasks. This course explores the use of electronic spreadsheets using Microsoft Excel. This course will present the MS Excel application interface, tools and features. You will learn about the fundamentals of spreadsheets, working with data, formatting cells, working with ranges of data and cells as well as applying functions and formulas to manipulate the data in the rows and columns of a spreadsheet. In addition, you will learn how to present tabular data in a variety of different chart formats. This course relies heavily on hands-on practical activities which allows you to learn the concepts by practicing them on a regular basis. This course will present the MS Word application interface, tools and features. You will learn about the fundamentals of word processing, document, and paragraph and character formatting, working with templates, lists and tables. This course relies heavily on hands-on practical activities that allow you to learn the concepts by practicing them on a regular basis. Start Training to Become a Legal Administrative Assistant! 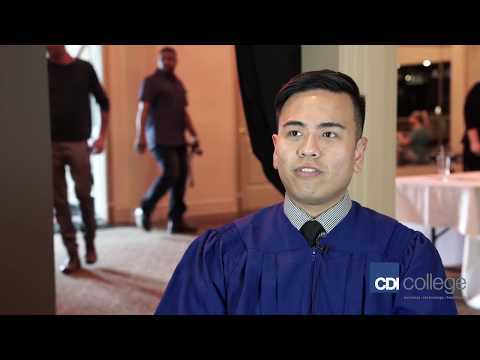 Apply today to CDI College and with our accelerated training, you'll get the skills employers want - faster!